Makes the normal map read the iris as concave so it reflects light realistically. Due to the moderators allowing plagiarism on the site now, I shall no longer be uploading content here. 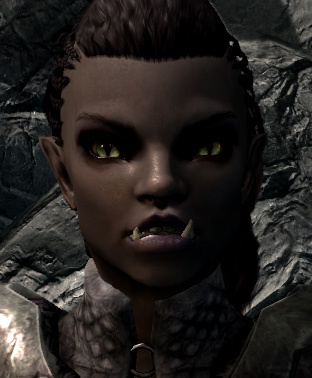 There is now an SSE version up. 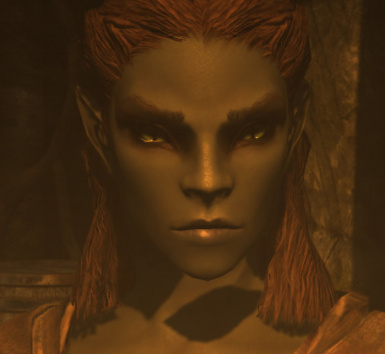 Please use that and not this version for your SSE game. I cannot run SSE CK on this rig, since it is an abacus wired into a Lite-Brite, and Bethesda is enforcing min spec requirements with their control hungry Bethesda.net crap. 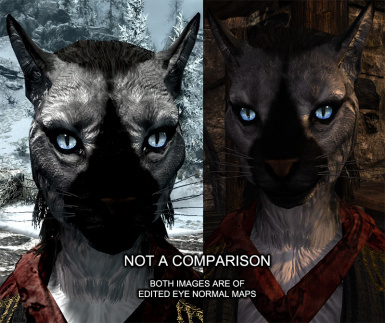 Again, DO NOT use this Skyrim version in SSE. It will break your games. 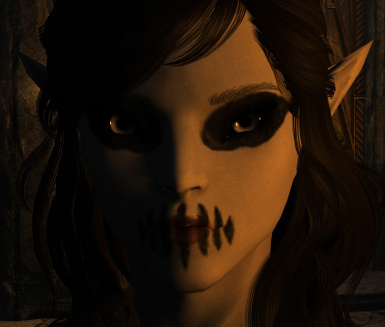 So in celebration of finishing a week long character model, I decided I was going to make some new eye models for Skyrim... then it occurred to me that I'd have to make sets for all of the custom followers I use. 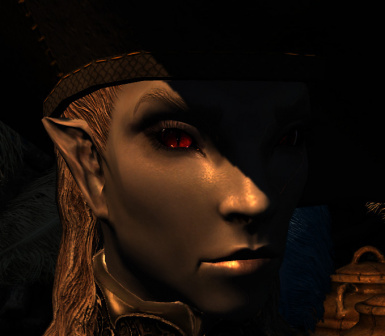 So instead, I opted for the next best choice, which was to fix up the eye normal map so it made the iris look concave. This allows the eye to reflect light and shine the way a real eye would. 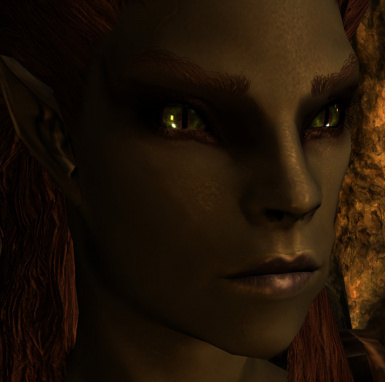 For those who use Eyes of Beauty or similar mods, and are having an issue with a "contact lens halo" effect, there is now a No Contact Lens Version listed in the Main file section. Uploaded June 5th. The texture has been saved as ARGB8x32 to maintain a clean look and prevent compression artifacts. For those wanting compressed files, there is a Compressed Version in the Optionals section. These are 256x and saved as DXT1RGB for the beasts (doesn't need an alpha) and DXT5ARGB for the regular one. These will have artifacts, though they may not be too noticeable on some systems. 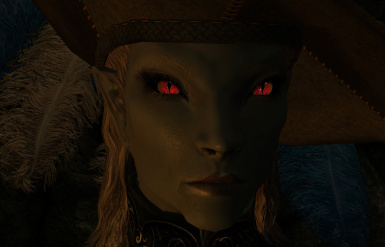 This fix can also be applied to any custom follower who uses non beast race eyes by simply replacing the same texture in its respective standalone folder. 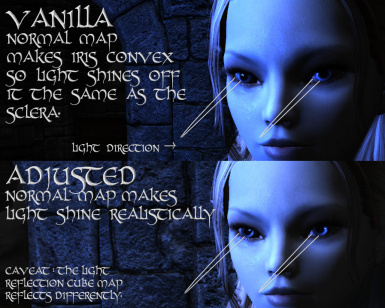 It works on humans, elves, orcs and any custom race or follower who uses the vanilla eye maps. 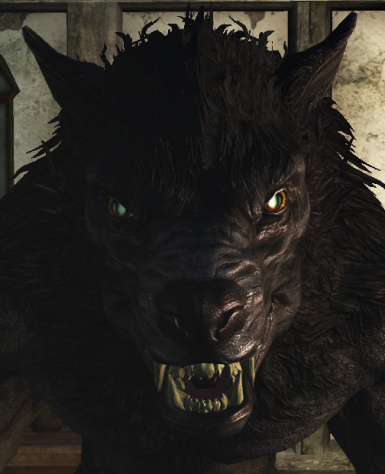 Lions, Lizards and Werewolves, oh my! There is an optional beast race fix as well. While this will do fine for the cats, it is going to make the lizards look weird, since lizards don't have concave eyes. Of course, this is just a realism nitpick about something in a fantasy game, so take it with a grain of salt. 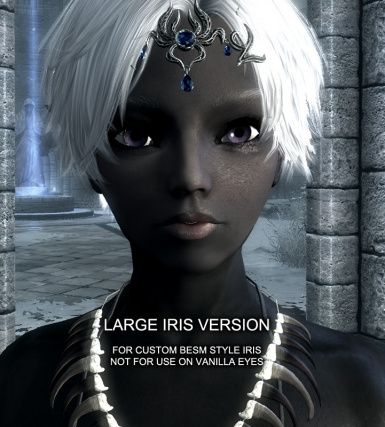 NOTE: Due to the vast number of custom eye texture mods, and there not being a specific template for iris placement, this may not line up perfectly with all custom eyes. please do not contact me asking me to make alternate normal maps for specific custom eyes. I have uploaded a PSD file of my edit in the Misc. section of the downloads for those who wish to customize this to fit specific non standard eyes. Shinji's Great Video. Thank you, Shinji! My really choppy video. I found a patrolling guard at night so it enhances the effect. 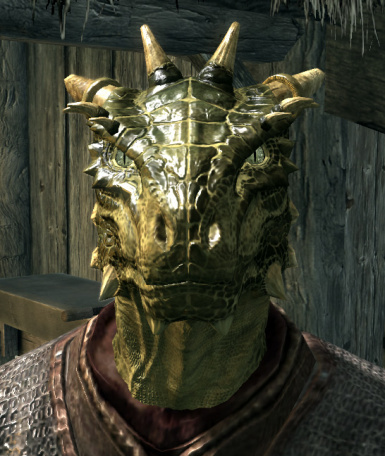 DO NOT use this Skyrim version in any SSE mods. It will break peoples' games. 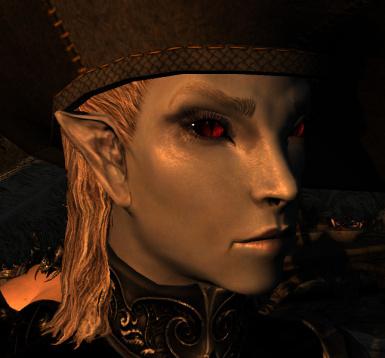 Bethesda - original base eye normal maps. Mr. Dave - edited normal maps.